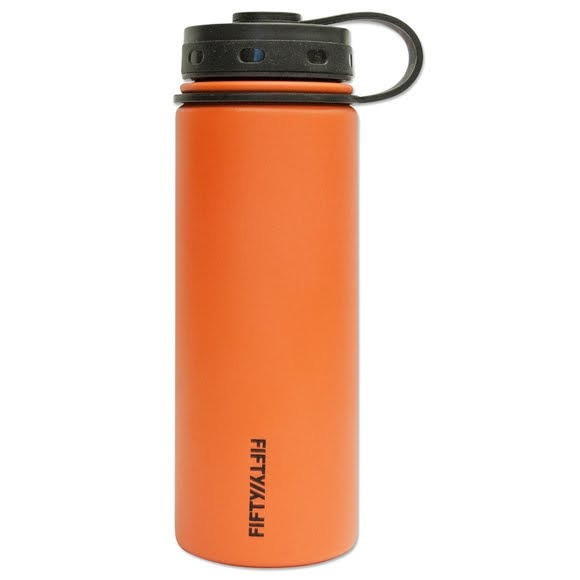 Lifeline's Double-Wall Vacuum Insulated 18oz Bottle is designed to keep keep liquids hot or cold all day. Double-wall technology prevents condensation & keeps outside wall of bottle at a comfortable temperature.Lightweight 18/8 stainless steel is 100% recyclable. It has no liner and will not retain odor or taste. Lifeline&apos;s Double-Wall Vacuum Insulated 18oz Bottle is designed to keep keep liquids hot or cold all day. Double-wall technology prevents condensation & keeps outside wall of bottle at a comfortable temperature.Lightweight 18/8 stainless steel is 100% recyclable. It has no liner and will not retain odor or taste. NEED A NEW CAP? PURCHASE ONE HERE! Lifeline recommends hand washing your stainless steel water bottle with a non-abrasive dishsoap. For a more thorough cleaning, add 1 teaspoon white vinegar OR baking soda to the bottle, fill 3/4 of the way with warm water, close and gently shake. Rinse thoroughly and let your bottle air dry with the cap off.